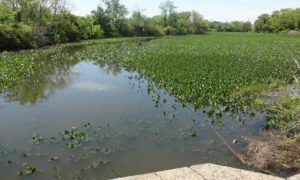 (Cherry Hill, NJ) – The Camden County Freeholder Board has approved an expansive project to improve the water quality of Newton Creek. The project will affect the waterway stretching from Cuthbert Boulevard to the vicinity of the Black Horse Pike, and will primarily remove sediment from the creek and improve natural infrastructure, including riparian buffers to reduce the effect of future sedimentation. The Freeholder Board and the CCMUA have been working with the Camden County Soil Conservation District, Delaware Riverkeeper, and the Newton Creek Watershed Association to ensure that the project is environmentally sound. This process has included working with each group to spread information about the steps parkgoers can take to help keep the creek safe and clean for everyone. The groups have also been included in the beginning of the planning phase and will continue to be consulted as the final design is developed. Sedimentation is a natural process that occurs as soils and other matter collect in the bed of a lake or river. Sediment problems can disrupt drainage systems and other complications for the waterway. The project approved by the freeholders will remove sediment from Newton Creek, and by doing so, improve water access and quality. In addition, improvements planned to stabilize surrounding streambanks and outlays will slow any future sedimentation. The project will be funded by the New Jersey Environmental Infrastructure Trust financing program. The county will then pay back the loans over the course of the next 30 years at a minimal rate.